Custom designed and printed membership tags are available with any logo, the membership keytag is perfect for reward cards, library cards, gym membership and VIP club cards. Compact way to identify members & club members. Great for loyalty and reward programs. Full colour printing on front, optional barcode on reverse. Standard size 54 x 29mm. 0.6mm thick premium PVC. Made to other sizes on request. Contact us for info. Multiple application including: clubs, associations, hotels and restaurants, night clubs and retailers. 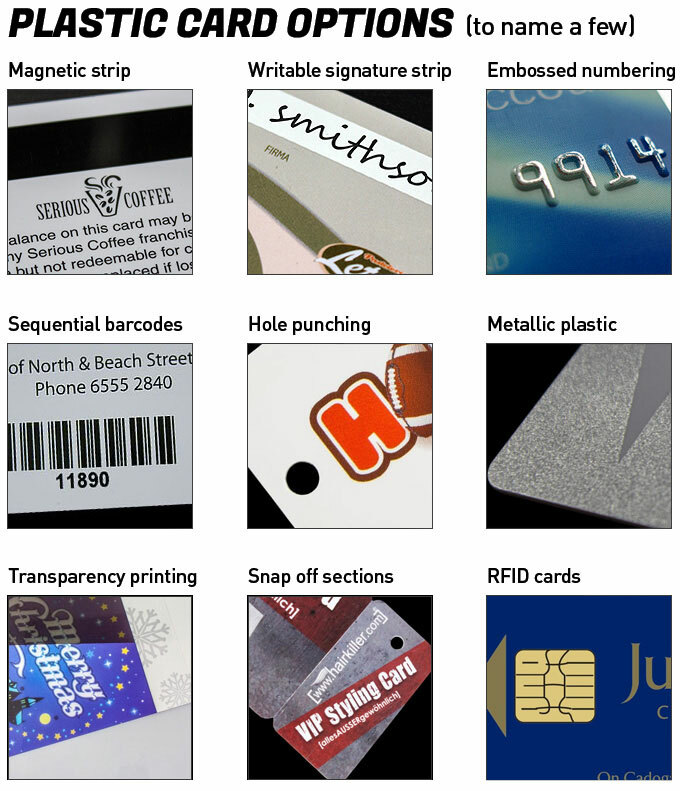 Don't forget to see below for our full list of customisation solutions including magnetic strips, sequential numbering & remote frequency contactless data. A key tag is small and customisable, and this promotional material will be noticed wherever it is used. Membership Tags are a very efficient marketing channel, but only if they are used. The composition of these tags, their design, size and purpose all enhance their appeal, and they can help business owners realize the greatest benefit from their campaigns. Below are a few reasons business owners use key cards as part of their marketing efforts. Membership keyrings are a cost-effective solution that meets the needs of small businesses and entrepreneurs alike. Custom-designed cards are very affordable, which allows companies to experiment with colours and patterns before making a long-term decision. In most cases, design services are available free of charge. Membership tags are a type of mobile advertisement that can reach anywhere in Australia. When customers display or use these tags, they spread awareness about brands, products and services at a mere percentage of the cost of a conventional marketing campaign. A clean, efficient design including the company's name and logo is sufficient to get the company's message across. Membership key rings are somewhat personalised for each customer. The bar code on the reverse contains a significant amount of information, which allows it to collect or verify data depending on the business owner's needs. Details of a customer's membership or contact information can be very useful during service center visits, classes and health club visits. The printed codes on the back side of membership tags allow businesses to answer specific questions, but they are equally effective for special promotions, product launches and seasonal sales. When a customer scans the code, they get informed on the company's latest offerings. Key cards can help first-time customers turn into repeat buyers. Key cards and tags are inexpensive and quick to produce, with design proofs typically available on a same-day basis. These cards can shorten the campaign's duration and speed up lead generation when done correctly. The quick turnaround allows Australian businesses to continually turn out new, personalised tags at frequent intervals, to ensure that current and potential customers notice them. Along with the reasons mentioned above, customers should note that key tags are easily customised to suit their needs. They may be used to market almost any product, or to allow service providers to more efficiently track customer metrics. Tags are available in a variety of sizes, styles and shapes, and they are particularly effective when combined with loyalty incentives. Companies can further their marketing efforts if they give promotional key tags in multiples. By doing so, customers can easily share the tags with others and bring more potential customers to the business. Giving key tags away in this manner can prove quite rewarding, especially for smaller retailers and entrepreneurs looking for an innovative way to market their services. A business owner can track multiple customer metrics with a membership tag or card, and choices often depend on the owner's marketing goals. For example, if a customer runs a fitness center, tracking busy times can help them plan special events and group fitness classes. These tags can help owners know when to hire more staff or when to cut back. Membership tags can help business owners improve building security by limiting access to paid members. Branding is crucial for businesses of all sizes, but conventional ad campaigns can be very costly. Implementing a membership tag program can be a cost-efficient way to build brand awareness and customer loyalty. These key tags are supportive of word-of-mouth advertising, as they can be shown when a client tells friends and family about the company. Key tags can serve as a low-cost form of advertising, and they are an excellent way for new businesses to build a recognizable brand. They can be used to reward loyalty or provide members-only benefits to customers. By offering plastic membership tags and cards, business owners can discover a useful, unique way to promote their companies, gather valuable customer data and increase corporate security.